Develop a brand for a new grant-funded initiative to promote driving trails throughout the Southern Finger Lakes that provide visitors with a tour of the area’s cultural, historical, and natural highlights. 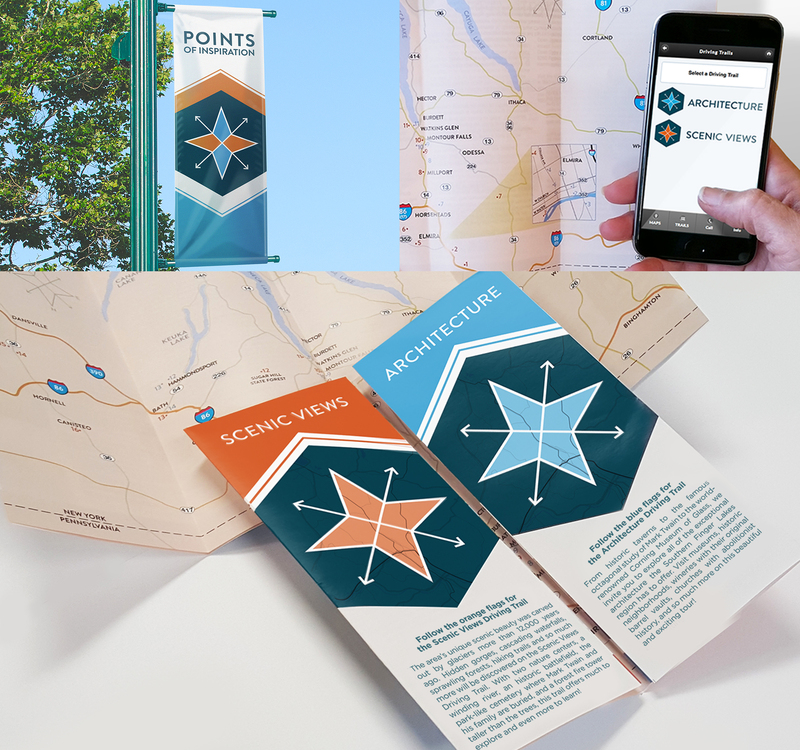 Work closely with client to determine the brand direction, create a logo and design a brochure, location signage, and create mobile application navigation. Points of Inspiration was launched and received a warm welcome from the public. The driving trail signage can be found throughout the Southern Finger Lakes at many popular scenic and historical locations.